Universal hose coupling 26451910 https://www.kaercher.com/ie/home-garden/watering-systems/connectors-tap-adaptors/universal-hose-coupling-26451910.html Our universal hose coupling is an essential part of the Kärcher garden irrigation system, extending the length of your hose to make sure every inch of your garden gets the care it deserves. Our universal hose coupling is an essential part of the Kärcher garden irrigation system, extending the length of your hose to make sure every inch of your garden gets the care it deserves. Getting your hose to reach every inch of your garden can be difficult – unless you have the right tools. At Kärcher, we know how valuable a flexible hose system can be and our simple but intelligent universal hose coupling provides the perfect answer to tricky gardening. Forget using multiple watering cans and other containers to reach the furthest parts of your gardens. Simply extend your existing hose and ensure every inch of your outdoor space gets the care and attention it deserves. The Kärcher hose coupling system will do all the hard work for you and is even ergonomically designed to make it easier to handle. Part of any gardener’s essentials, this handy little tool weighs just 0.04kg and guarantees easy garden maintenance that allows you to get water exactly where you need it. Enjoy a great looking garden throughout the year with our help. 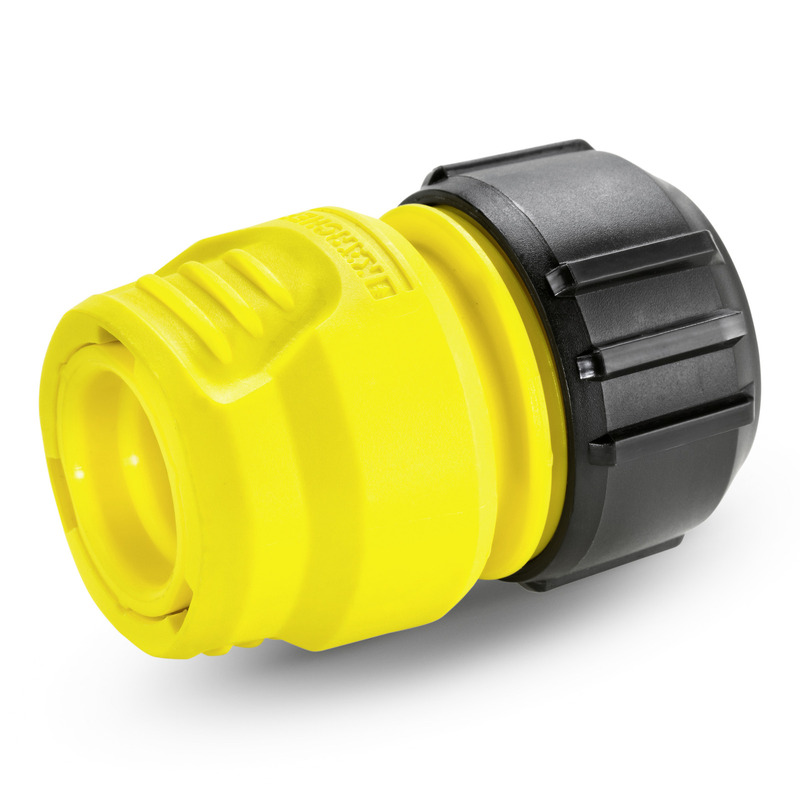 The universal hose connector was rated "very good" (1.3) in a field test in the magazine "selbst ist der Mann" and received a recommendation.